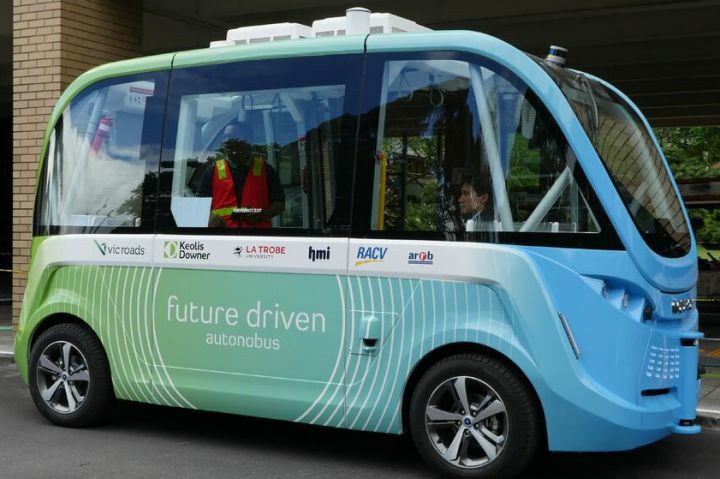 An automated driverless shuttle will transport students around La Trobe University as part of a Government-backed trial that is expected to set the groundwork for the broader introduction of driverless vehicles across Victoria. The project brings together world leading experts in automated vehicle technology to trial Victoria’s first driverless shuttle, the Autonobus. A collaboration between VicRoads, Keolis Downer, La Trobe University, HMI, RACV and ARRB, Autonobus will transport passengers along Science Drive at La Trobe University’s Bundoora campus until July 2018. The trial, partly funded by the Victorian Government Smarter Journeys Program, will examine all aspects of safety, operations, passenger experience and integration. Minister for Roads and Road Safety Luke Donnellan said investing in the future of public transport was a clear priority. “Automated vehicles will revolutionise the way we travel, that’s why we’re investing in trials that explore ways technology can be used to reduce congestion and keep people safe on our roads,” the Minister said. VicRoads Director of Transport Futures Stuart Ballingall said the purpose of the trial was to gain a better understanding of the technology. “The learnings from this project will assist VicRoads in understanding how automated vehicles will interact with other road users, and will inform our regulatory and operational frameworks to support their safe operation,” he said. La Trobe University Vice Chancellor Professor John Dewar said the University was the perfect place for the trial. “Our researchers have the expertise and track record in developing technology that links business, enhances mobility and shapes smart cities of the future,” Professor Dewar said. The Autonobus is a twelve seater fitted with advanced sensor systems that can spot objects with incredibly fast response times and has been subjected to rigorous testing before taking passengers. Although designed as an automated, driverless shuttle, it will be supervised by an operator at all times who will also monitor the trial of the vehicle and its operations. Customers can register to ride the Autonobus at Latrobe.edu.au/autonobus.